Is there a better alternative to Gabtastik? Is Gabtastik really the best app in Chat category? Will Gabtastik work good on macOS 10.13.4? 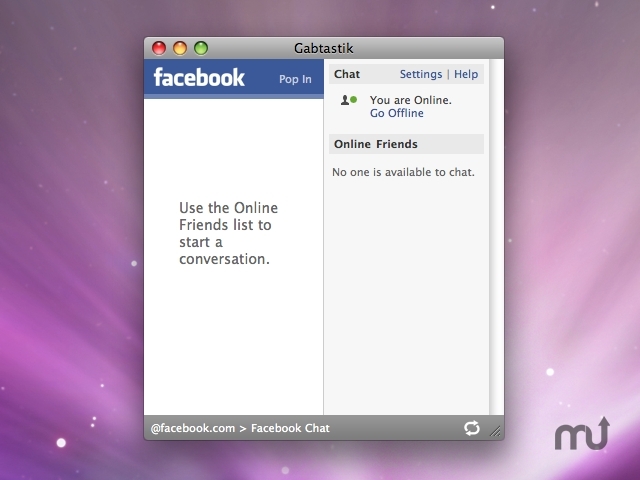 Gabtastik is WebKit based Site Specific Browser (SSB) for Web chat services such as Facebook Chat, Google Talk and meebo. This allows users to keep Web chat sessions running on the desktop outside of their regular Web browser, using minimal screen real estate and system memory. Gabtastik needs a rating. Be the first to rate this app and get the discussion started!